1 left chest pocket. 2 lower pockets stitched up the middle. 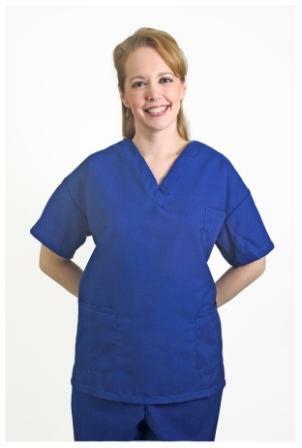 100% cotton 6 oz comfort material or 65/35 poly-cotton 4.5 oz poplin. Limited availability on some of our poplin colors that we will no longer carry once sold out. Unfortunately our stock is not linked to our website, we will ship what is available or cancel item/order for what is not available. No returns or exchanges on these items. Chest 40" 44" 48" 52" 56" 60" 64" 68" 72" 76" 80"
Sweep 40" 44" 48" 52" 56" 60" 64" 68" 72" 76" 80"
Back Length 27" 28" 28" 28" 29" 29" 29" 29" 29" 29" 29"